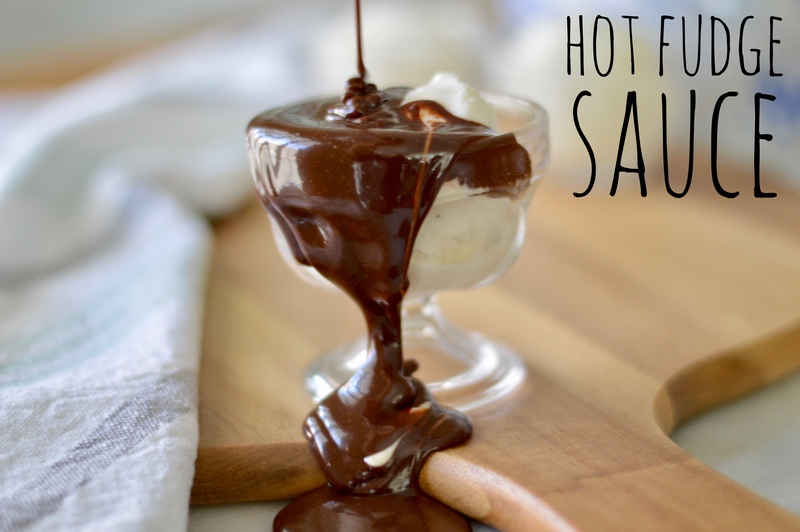 This recipe for Hot Fudge Sauce originated with my Grandma Gladys Greer, of St. Johns, Arizona. She boiled it for 3 minutes then quickly frosted a delicious chocolate cake with it. Grandma’s chocolate cake was a stand out! My mom, my sisters and I have continued Grandma Gladys’s tradition by boiling the recipe only one minute and using it as hot fudge sauce. 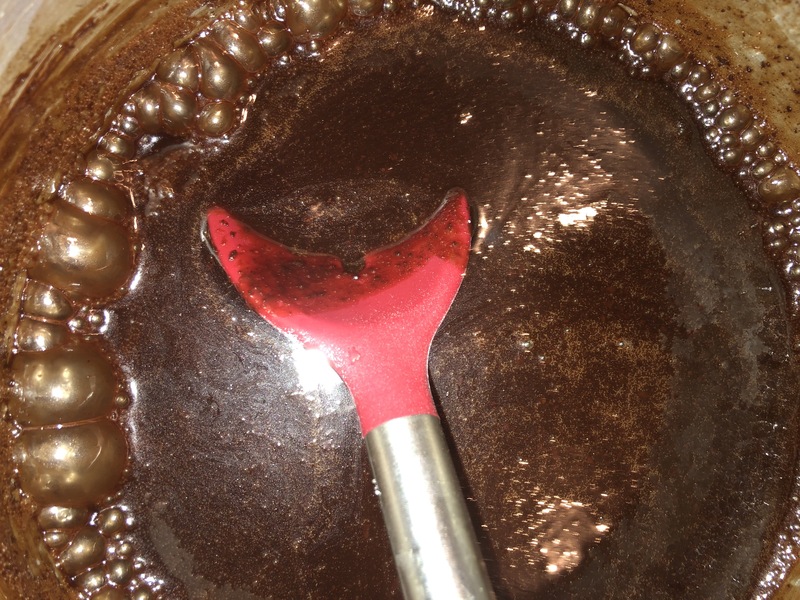 This sauce is chocolatey, smooth and silky. It’s the perfect topping for ice cream. We love a good hard vanilla ice cream (like Breyer’s Natural Vanilla). The contrast of flavors and temperatures between the chocolate and vanilla, and the hot and cold is addicting. To make this easy recipe. you combine five ingredients and stir them over medium heat. You want to bring the sauce to a boil, then let it continue a good rolling boil for one full minute and remove it from the heat. 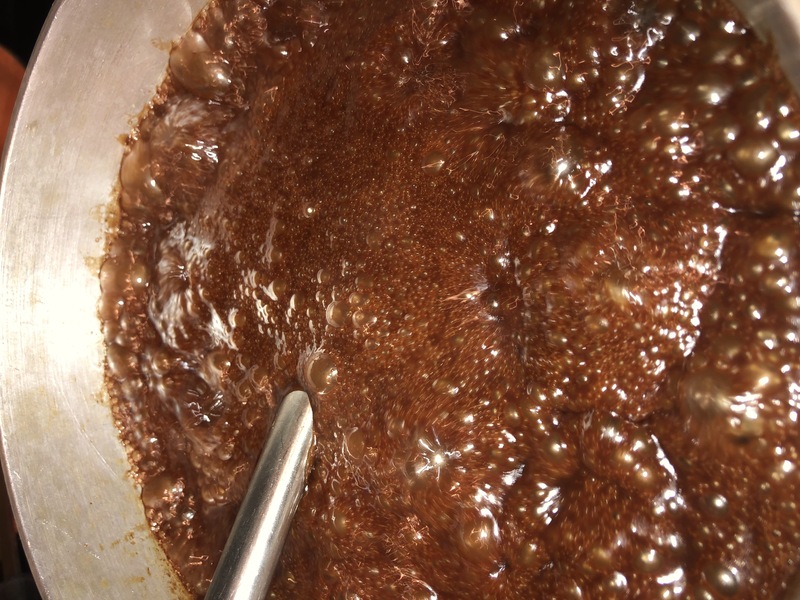 You can text the firmness of your hot fudge sauce by putting a spoon, with a little fudge on it, into a cup of ice water. The firmness you feel when the sauce hits the ice water will show you how the sauce will be on your ice cream. I tend to like my sauce like a soft caramel sauce. If you want your sauce thinner, just add 1-2 tablespoons more evaporated milk. This is probably my favorite dessert. 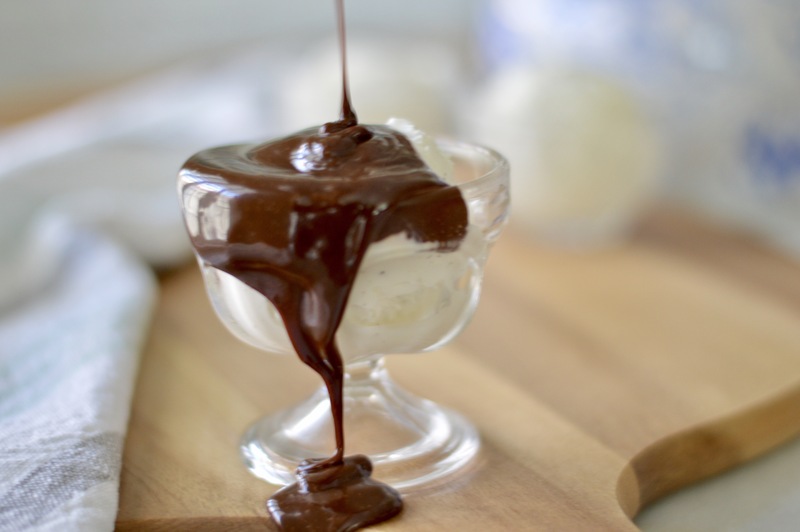 What could be better than a hot fudge sundae? It’s also my go-to dessert when I have dinner guests. 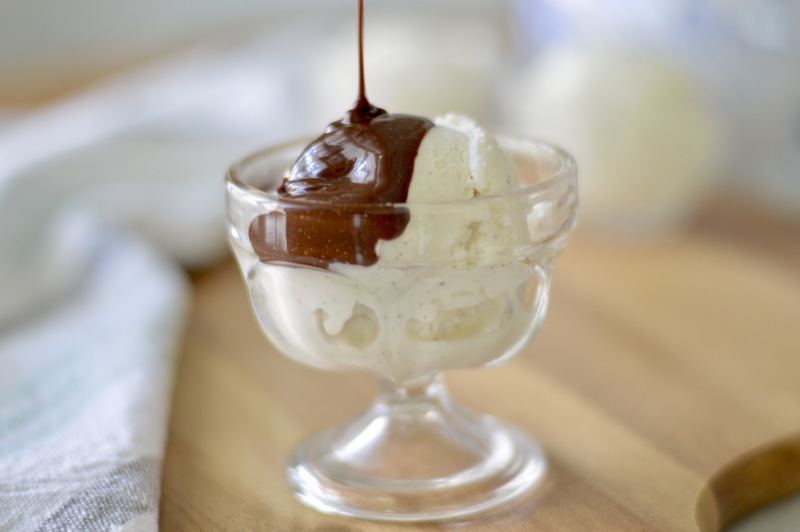 I keep a half gallon of vanilla ice cream in my freezer, then I can whip up some Hot Fudge Sauce in a couple of minutes. Sometimes we elevate this dessert by adding brownies for a Hot Fudge Brownie Sundae! Place chocolate squares on butter so they melts together. Add evaporated milk and corn syrup. Stir to combine. Turn heat to medium and stir constantly until mixture comes to a rolling boil. Boil exactly one minute, then remove sauce from heat. Store in covered container in refrigerator up to one month. Note: This sauce becomes slightly caramel like when it hits the cold ice cream. For a softer, thinner sauce, pour in 1-2 extra tablespoons evaporated milk.